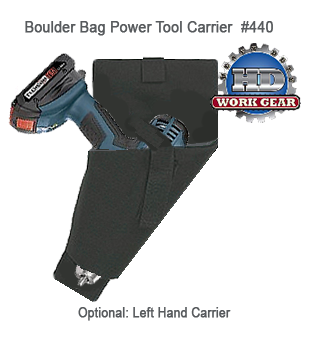 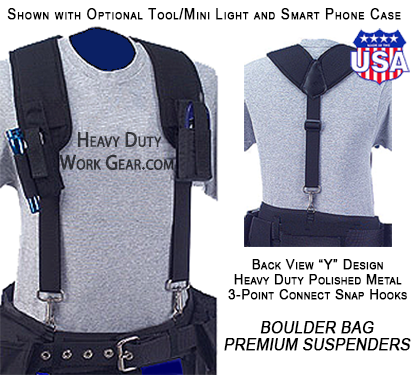 "HD Work Gear is the #1 Boulder Bag Tool Belt Distributor"
HD Work Gear offers a 100% American made tool belt / tool bag system using the best quality domestic grade materials manufactured by Boulder Bag Company, Inc. (BBC). 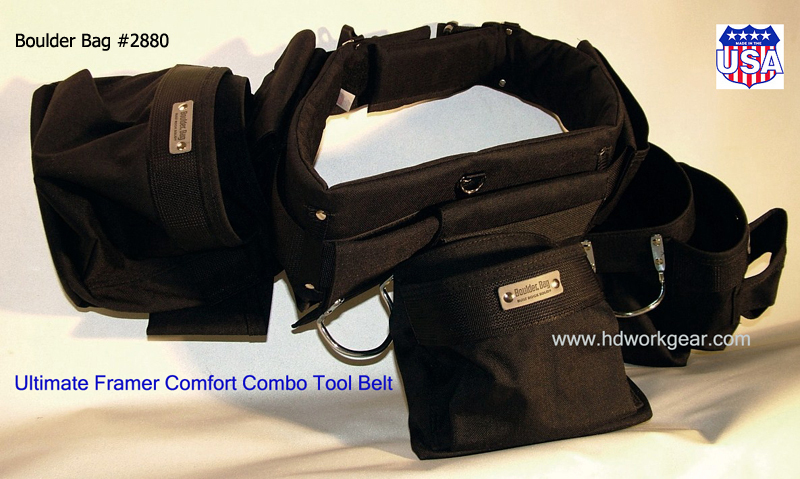 These tool bags and suspender systems are designs and manufactures for trade specific uses and custom tool belt configurations, made with premium quality weaved Cordura industrial textile and durable 100% Nylon woven webbing. 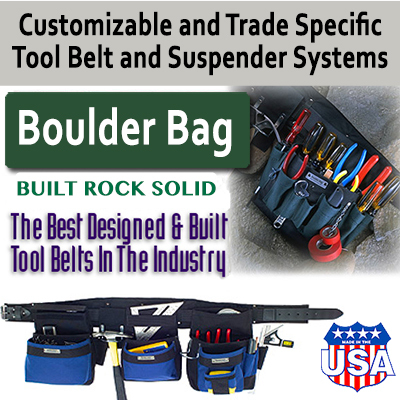 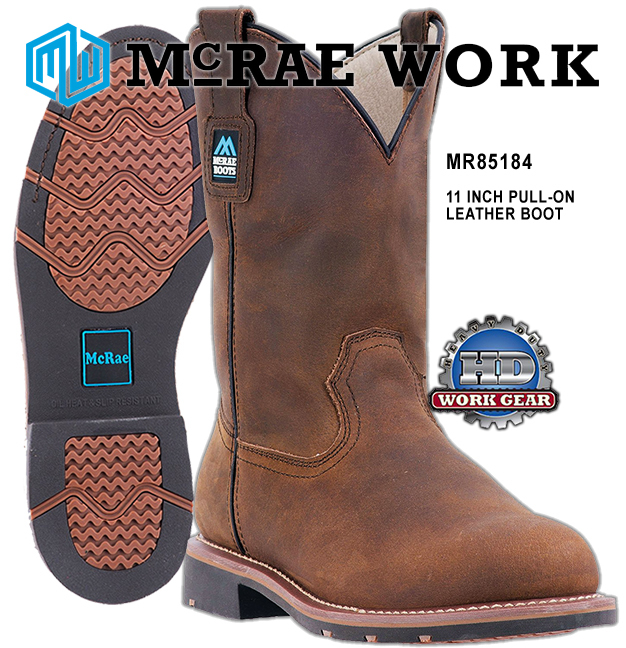 BBC belts, suspenders, tool pouches, tool/material bags and accessories are designed for the hands-on journeymen level construction workers; we have customers who are using their bags after 10-years and have returned to us for replacement components. 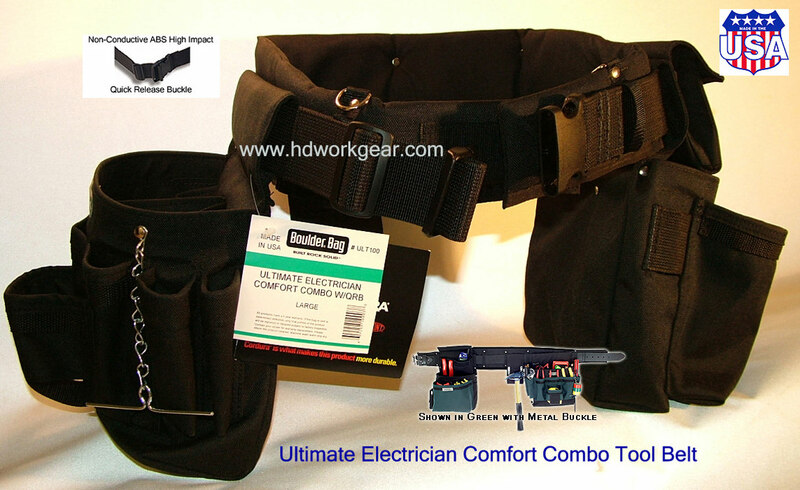 BBC specializes in tool bag systems for rough and finish carpenters, electricians, sheet metal fabricators, lathing/wall board installers, heating/air conditioning and any other configuration sought by the end user. 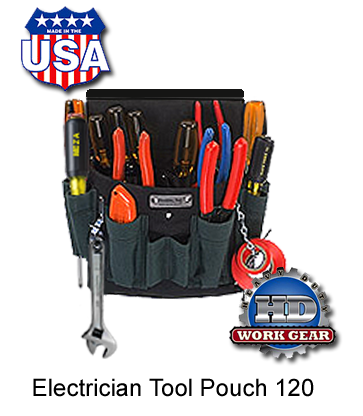 It is important to note that all tool bags can be ordered for right handed or left handed users; and all tool bags come with a 3-year warranty.